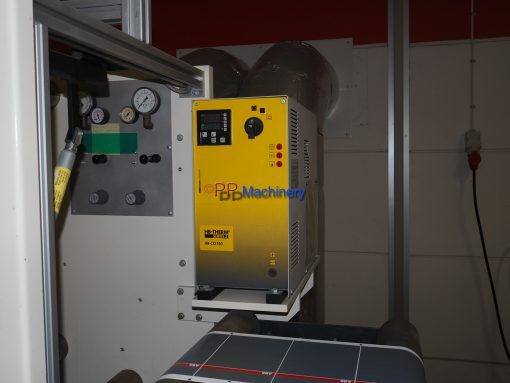 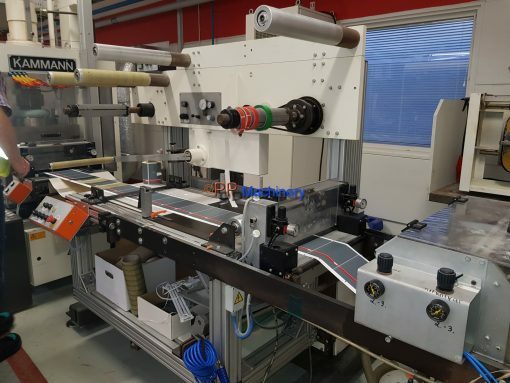 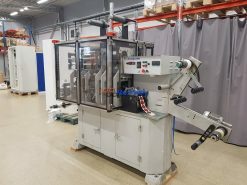 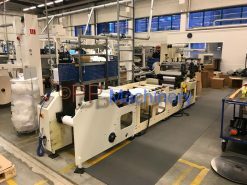 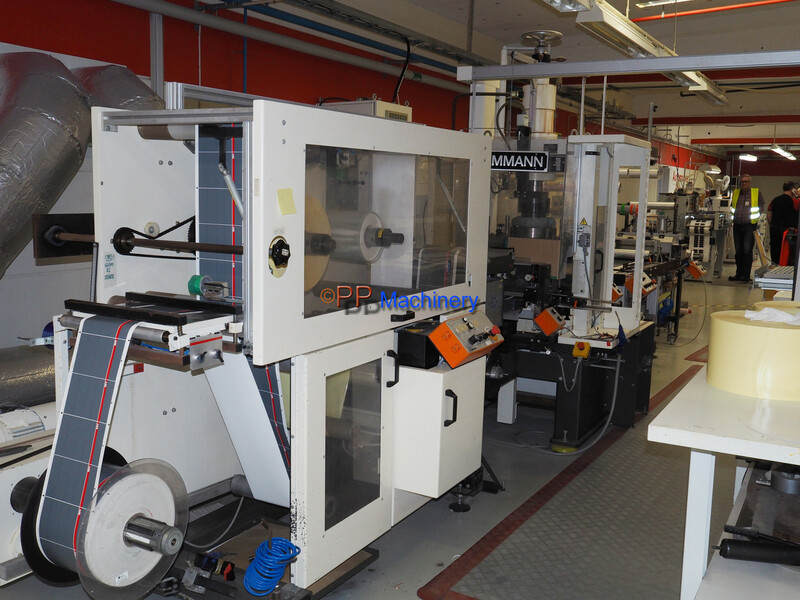 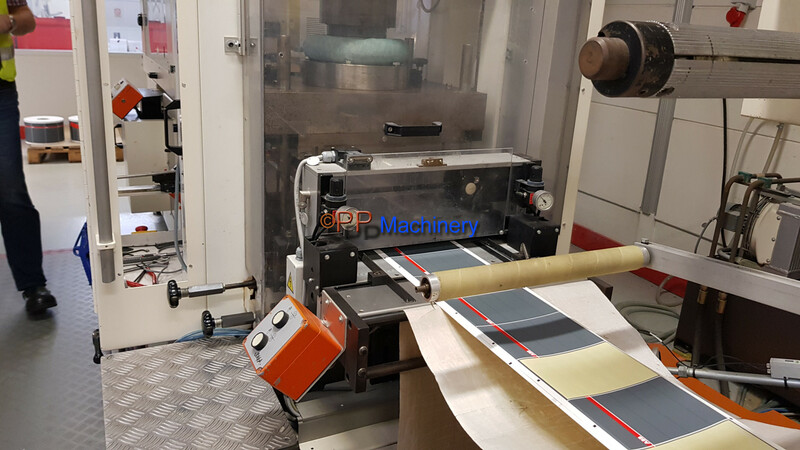 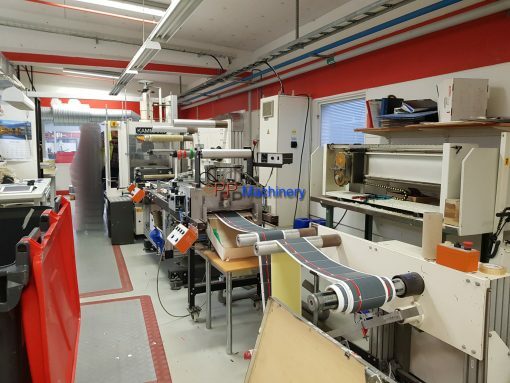 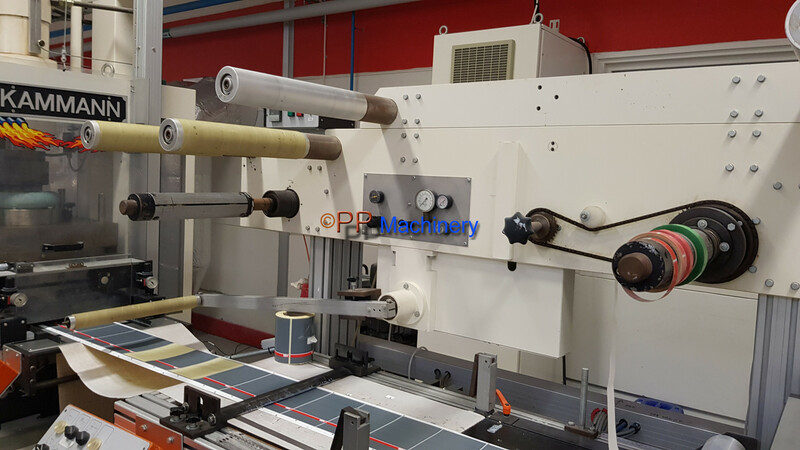 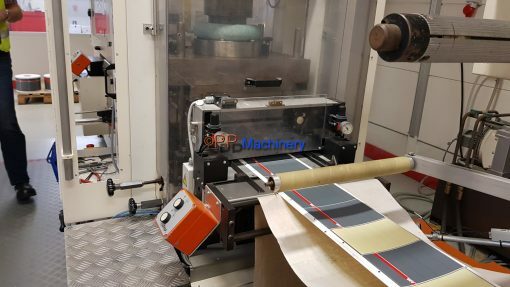 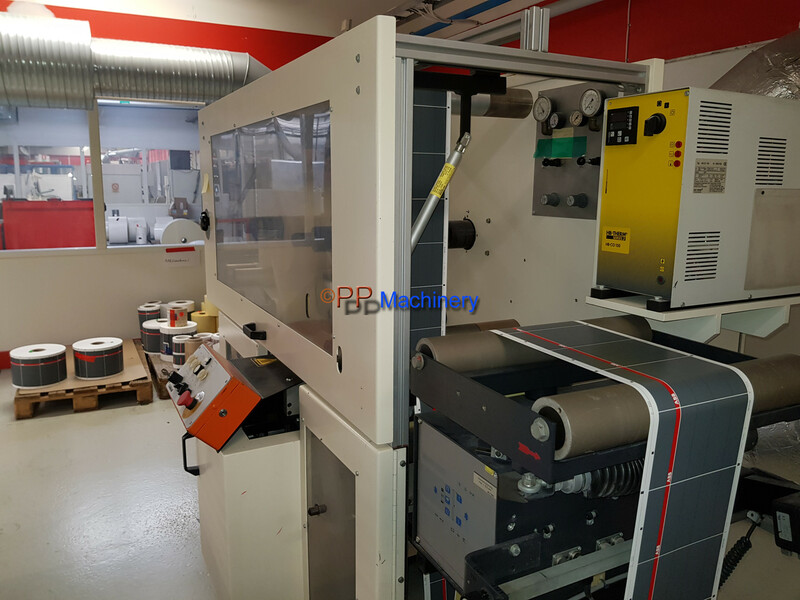 Machine is in a very good condition and can be seen in production. 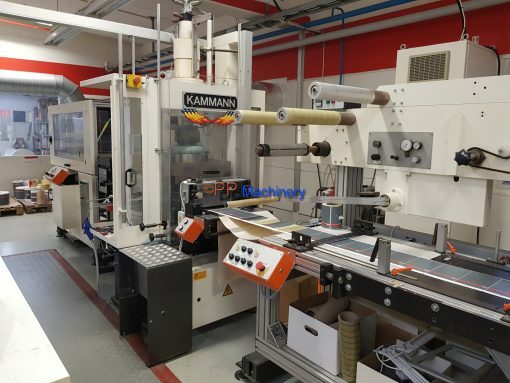 This die cutting and embosing machine is made for heavy duty material. 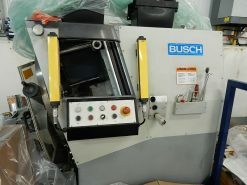 Each unit has his own webguide. It can be used for labels, self adhesive labels, for paper.